Home > News > News > Time 4 Nutrition and Combat Nutrition have partnered up, and are now the official sponsors for MMA legend: Thiago Silva. 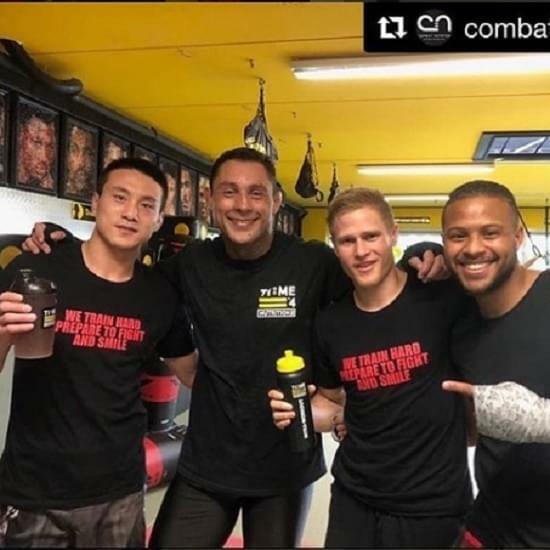 The Brazilian UFC veteran – who recently started fighting in Europe’s fastest growing fight promotion (Russian based ACB) – is getting his supplementation requirements from Time 4 Nutrition, whilst training at Mike’s Gym in Netherlands. In addition, Thiago has been working closely with nutritionist Darren Deane (Dede) – owner of Combat Nutrition – who’s preparing Silva for his upcoming fights. Darren Deane believes Time 4 Nutrition has all the essential components Thiago Silva will be needing for his next fight-camp in Australia, and Time 4 Nutrition have kindly agreed to join in the partnership. Thiago Silva currently has a record of 20 wins – 14 of them coming by the way of knockout and just 7 defeats to his name. His enthuasiam for the sport is as strong as when he started and is now in the best fighting shape of his career thanks to his team which includes, Mike Passenier, Joan Pitbull and nutritionist Darren Deane. Keep up to date with his progress for his main event fight in Australia against another ex UFC fighter Chris Camozzi on all Time 4 nutrition social media platforms. Thiago Silva has come from a traditional Brazilian fighting background, making him a true MMA legend.